Sicily in summer is scorching hot: check out what to wear in Italy to pack right! While everyone and their mother knows Italy, keeping in mind our beautiful Country for romantic getaways, foodie trips or cultural vacations, there’s one region that isn’t given the credit it deserves. At least abroad. Sicily is in fact well known for us Italian looking to plan our vacations in Italy, not only because of the delicious food (some of the best traditional recipes in Italy), but also because of its beauty. Let us show you the best beaches in Sicily, to prove you that this region has definitely a lot to offer. White sand, black sand, rocks or a wild nature reserve: there’s something for every kind of traveler! 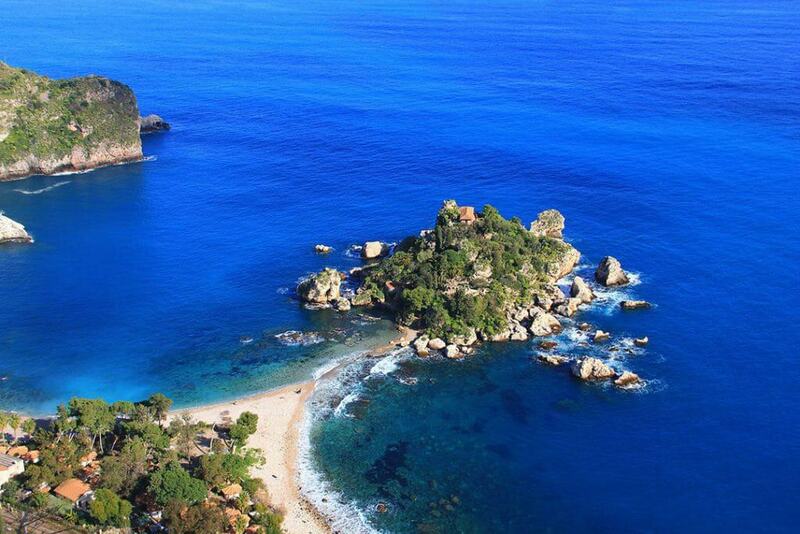 Isola Bella is located at about 7 km from Taormina, not too far from Messina. When I was younger I used to spend almost every summer in this area with my family. We were lodging either in Milazzo or Messina and every day or so we went to a different beach (now you know why I love road trips: we’ve been at it since when I was a kid!). The whole area is absolutely beautiful, so forgive me if I’ll often mention it, I guess I’m a little biased, but it’s not my fault if many of the best beaches in Sicily are located here! The tiny island named Isola Bella (translated from Italian it’s: “Beautiful island“) is attached to Sicily by a white stripe of sand. With the low tide, walking on the white, powdery sand, you will easily be able to reach the island, which is a big rock green with vegetation. 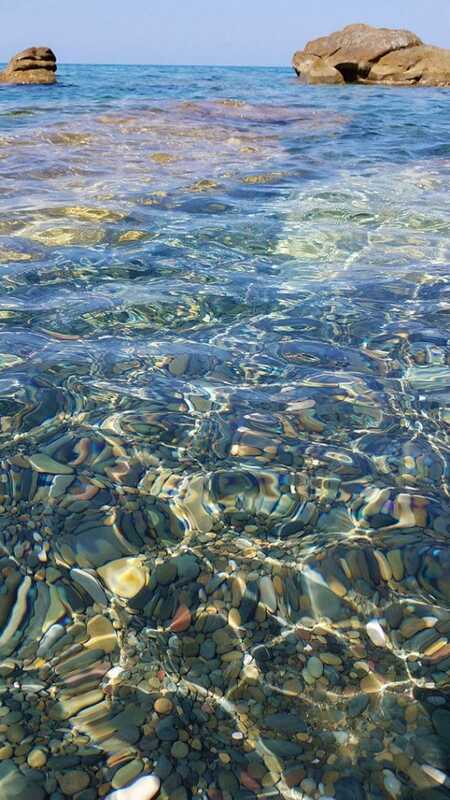 Even with the high tide, you will still be able to reach Isola Bella by swimming there. One of the fun, interesting activities you can engage in is a Sicilian cooking class in Taormina. You’ll be able to visit the local markets to select fresh ingredients with a local and then learn the traditional recipes: don’t feel intimidated, it really is a fun class! Even in case of a cooking class, you should always remember the rules on how to tip in Italy, so you won’t come across as rude. Scopello is one of the best beaches in Sicily, if you are exploring the North-West side of the island, and for a series of good reasons. If you are familiar with the Faraglioni in Capri, you will be surprised to find them also in Scopello. The area is particularly beautiful if you enjoy diving, but if not, it still offers some of the best excursions in Sicily. Like exploring the ancient Tonnara di Scopello, a series of buildings next to the sea where the fishermen used to bring fresh tuna (the huge kind) to prepare it for the market. According to the historical documents, this Tonnara has been around since the XII century! Don’t forget to try the Pane Cunzato (bread cooked in a wood-fired oven and generally filled with anchovies, cheese and fresh tomatoes), which is very popular among tourists and locals alike. It’s cheap and delicious, for the perfect lunch: make it to go so you can eat it at the beach! You can eat it also in Palermo, if you are planning a visit there! Pizzolungo is not too far away from Trapani and it’s the most famous municipality of Erice, because it is one of the best beaches in Sicily. Loved by tourists from all over the world and one of the most instagrammable spots in Sicily. Here the water tends to get from turquoise to green, always offering the chance to take beautiful pictures. The colors change because of the algae, also home to so many Mediterranean fishes: if you like snorkeling, this is the place for you. While the climate in Sicily is always warmer than other parts of Italy, Pizzolungo is one of those beaches where tourists go throughout the year. There isn’t really a low season, as the sun is always shining and the air is warm and inviting. Sunsets are especially beautiful: watch the rugged coast as it is bathed with orange light, and take the perfect Instagram shot of the Faraglioni! Here you can check out the best deals for Pizzolungo, to start planning your Italian vacation! The Bue Marino “hidden” cove is one the most loved by the Italians and thus I absolutely had to add it to my list of the very best beaches in Sicily: here it’s pretty famous! In 2016 it was awarded the title of “The most beautiful beach in Italy” by Legambiente. The cove is small and offers a cobbled beach, particularly beautiful at sunset: it looks a bit like the tiny beaches on the Amalfi Coast. Next to the Bue Marino cove you will find another nice beach (it’s tiny, mind you! ), the Isulidda, where you can also visit the underwater caves, both diving and doing some nice snorkeling. Another highlight of the area is the high cliffs, a paradise for the rock climbers. Reaching the top they can visit the Torre dell’Isulidda, an ancient tower guard. 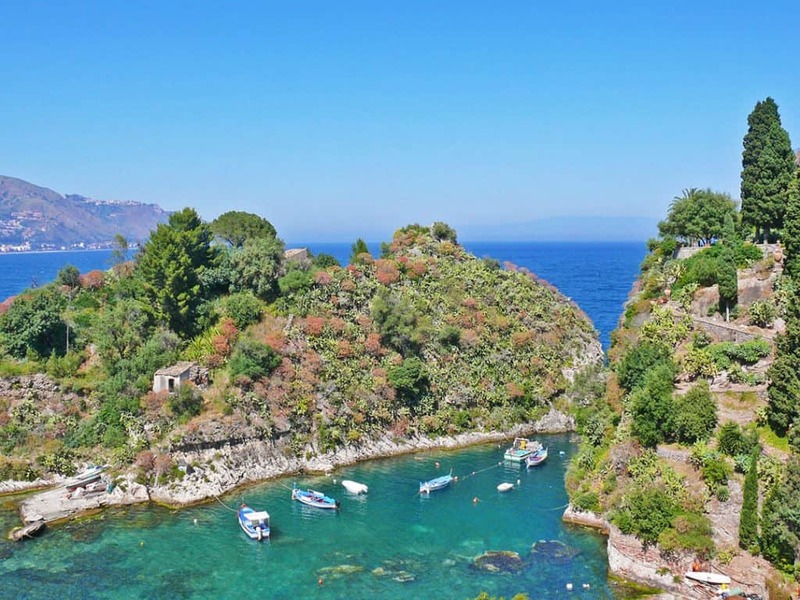 We can thus safely identify this cove as perfect place for the sport enthusiasts who want to get their adrenaline rush on the rugged coast of Sicily. 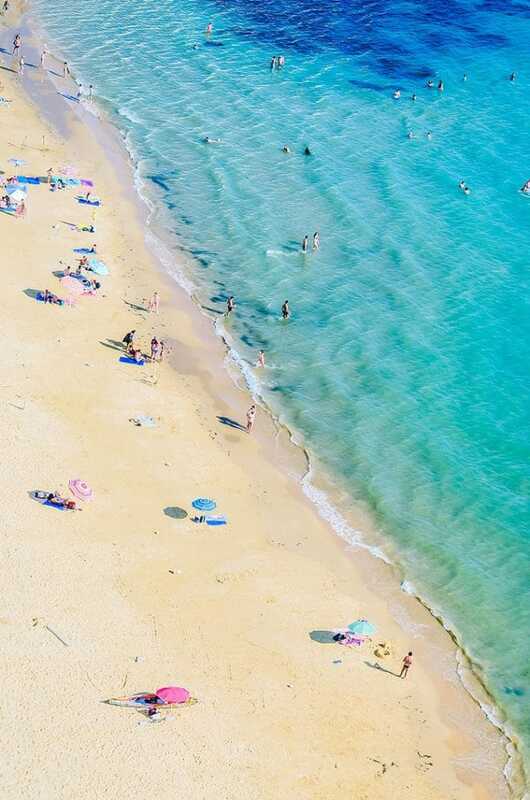 The closest city that offers the hotels at the best prices (and in the highest number) is San Vito Lo Capo, another destination that Italians can’t stay away from! 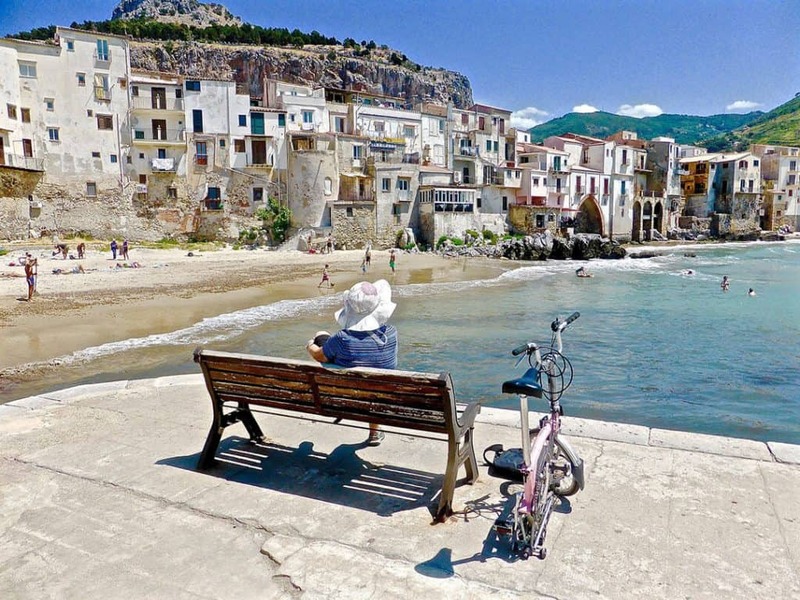 Cefalù is a city where you will find some of the best beaches in Sicily, so if you’re planning a trip here, you can make the most out of your vacation by exploring a different beach every day, just like we used to do! The youngsters love the Lido di Cefalù, not only because of the crystal clear water but also because it’s a clubbing area. Here you will find restaurants, clubs, shops and amazing night views. During the day it’s also perfect for families with children because the sea bottom is shallow and clear. Another one of your excursions in Sicily could be the Salinelle beach, because it’s a free public beach where the tourists can go windsurfing and have fun in the evening. Unless the Lido di Cefalù, Salinelle isn’t good for families with children because the sea bottom is deep and the area is windy. 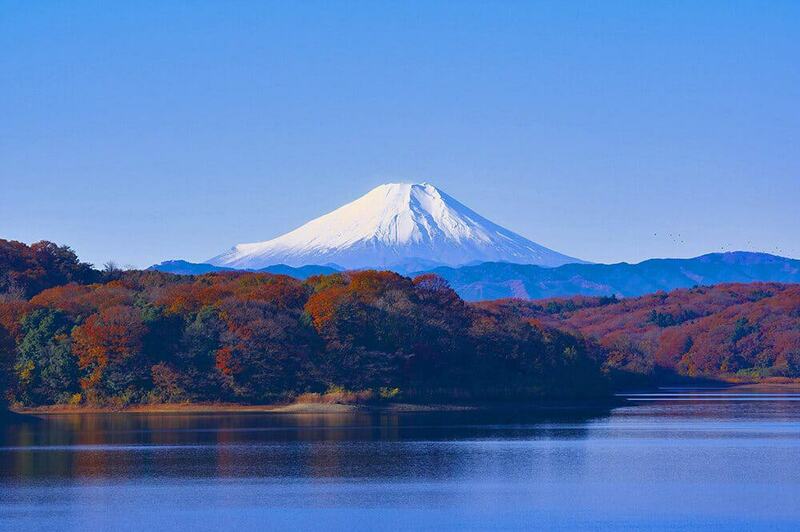 The third one is very long (about 15km) and you can reach it by using the public transport. Capo Playa is a beach with mixed areas with sand and cobbles. The wind and waves make it perfect for the surfers. Cefalù is also a great city to go souvenir shopping in Sicily! Avoid July and August unless you like the huge crowds that gather in the area! Cala Rossa, located in the Northern part of Favignana Island, one of the Aegadian Islands, is a spectacular area often compared to the Caribbean. The crystal clear waters, the dramatic rocky landscape, only partially covered with the Mediterranean forests, make it one of the best beaches in Sicily. This cove is named after the Punic Wars. Translated from Italian its name means in fact “Red Cove” to honor all the blood shed in these waters. You can reach the cove using a private boat, or hiking a scenic path that will challenge you quite a bit, but that is one of the most instagrammable spots in Sicily thanks to its wonderful views. 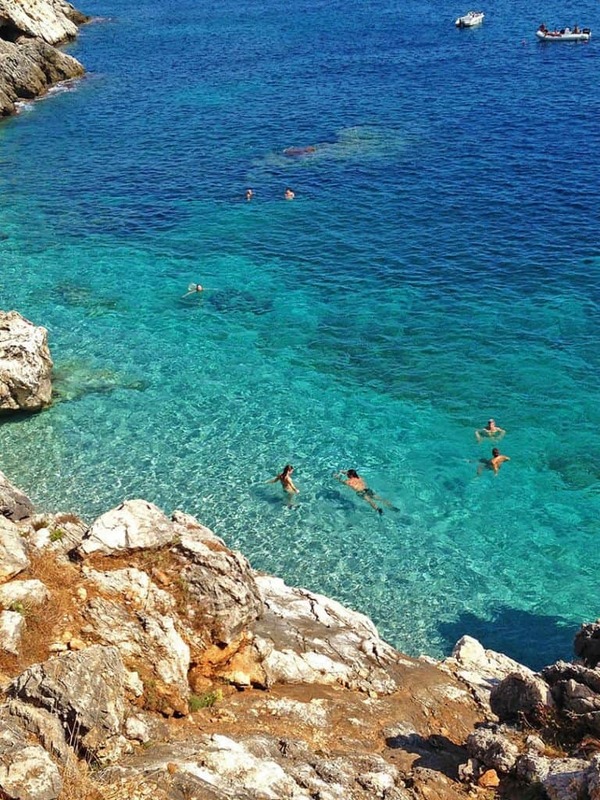 The closest airport is the one in Trapani, only a couple of hours away from this beautiful cove. Full disclosure: I’ve never been able to see the white cliffs of Dover, even if they’ve been on our bucket list for quite a while. But I’ve seen the closest thing to them in Italy. Capo Bianco, one of the best beaches in Sicily, is a white spur ridge that contrasts with the turquoise waters of the Mediterranean sea. 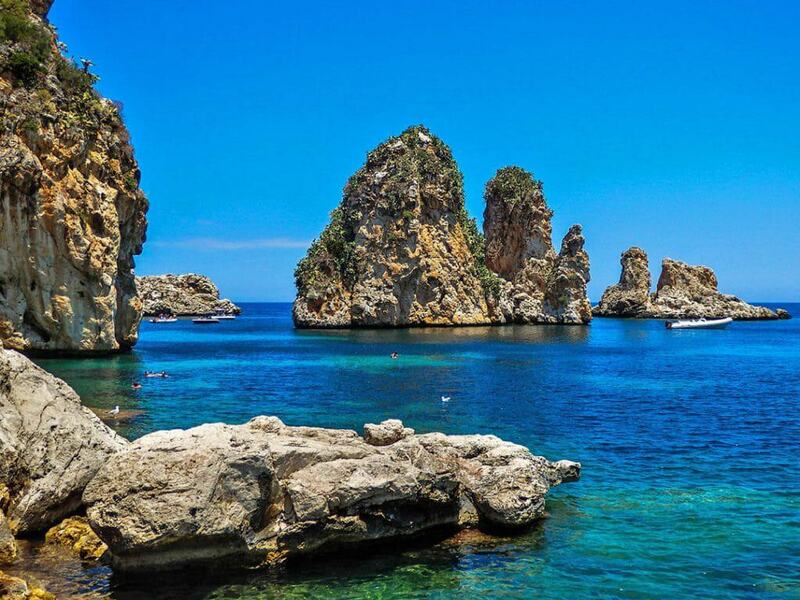 The Sicilians love this place, deemed one of the best places to stay in Sicily and close to the remains of the ancient Greek city of Eraclea Minoa. Here you can still see the theatre and part of the city walls. Because of their composition, the white rocks tend to break often, so the landscape in the area is always changing. Heraclea Minoa is the closest city that will allow you to reach the beach with a 5 minutes walk. San Lorenzo is another part of Italy that is often compared to the Caribbean sea. Located not too far away from Siracusa, on the South-West coast of Sicily, it’s very famous because of the golden-white sand and the crystal clear waters. The San Lorenzo area confines with the Vendicari Nature Reserve (keep reading to learn about that too) and is divided in two parts. One, confining with the reserve, is particularly rocky, with turquoise waters, popular among the divers. The other one offers clear sand and a shallow sea bed, perfect with families with children. Less than 15km away from San Lorenzo, one of the most famous cities in Sicily: Pachino. Here they cultivate the Pachino tomatoes, IGP protected and intensely fragrant. 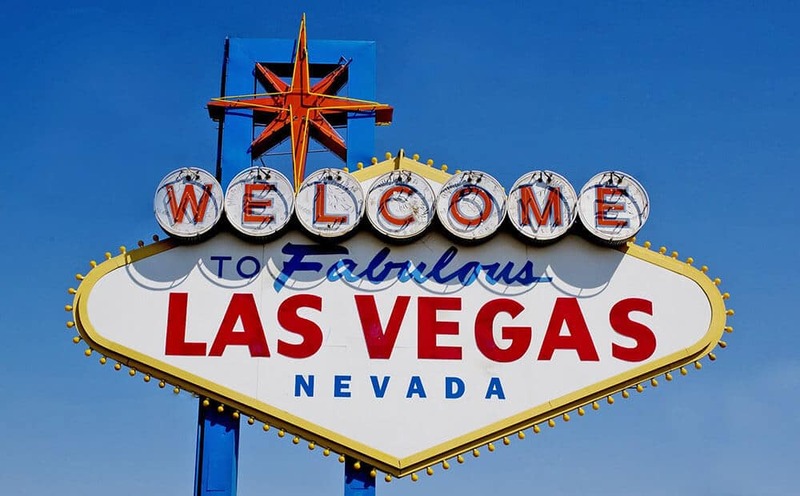 If you are a food lover, you will definitely want to visit. The whole city brims with classic Sicilian flavours and the prices aren’t even too high! 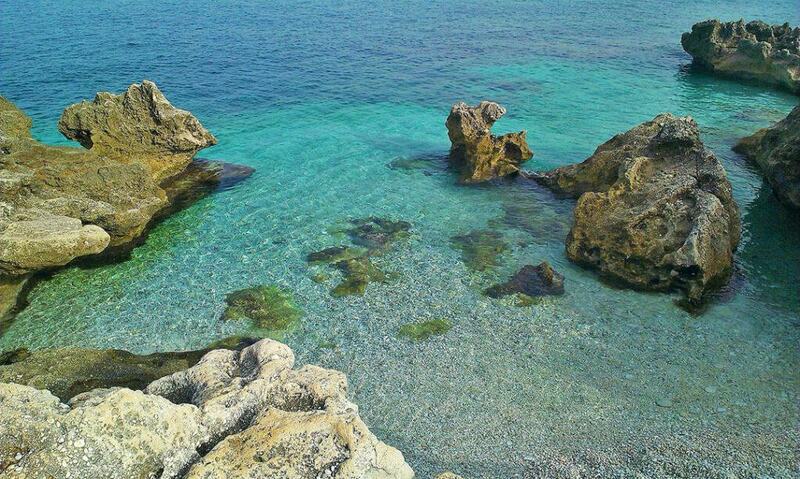 Find here the best deals for Marzamemi: this part of Sicily is beautiful no matter the season! The beautiful Panarea is the second smallest of the eight Aeolian Islands, a volcanic island chain North of Sicily. It is very famous in Italy because many celebrities, politicians and socialite go there for their vacations (which means also that it can be, unfortunately, pretty expensive). One of the best beaches in Sicily, and definitely the best in Panarea, is Cala Junco, located next to the prehistoric village Punta Milazzese. While it’s very common for people and celebrities to rent a boat to enjoy the turquoise water without being bothered by the crowds, you can still walk there from the San Pietro port. It will take you about 30 minutes, and once there you won’t believe your eyes. The huge rocks enclose what looks like a pretty big natural pool, making this cove the most beautiful of the Aeolian Islands. While in the summer it is particularly crowded and expensive, booking for a trip to Sicily in spring or early Fall might save you a lot of money. The climate in Sicily is always mild (even too warm during the summer!) and you will still be able to enjoy some vitamin sea with the locals! 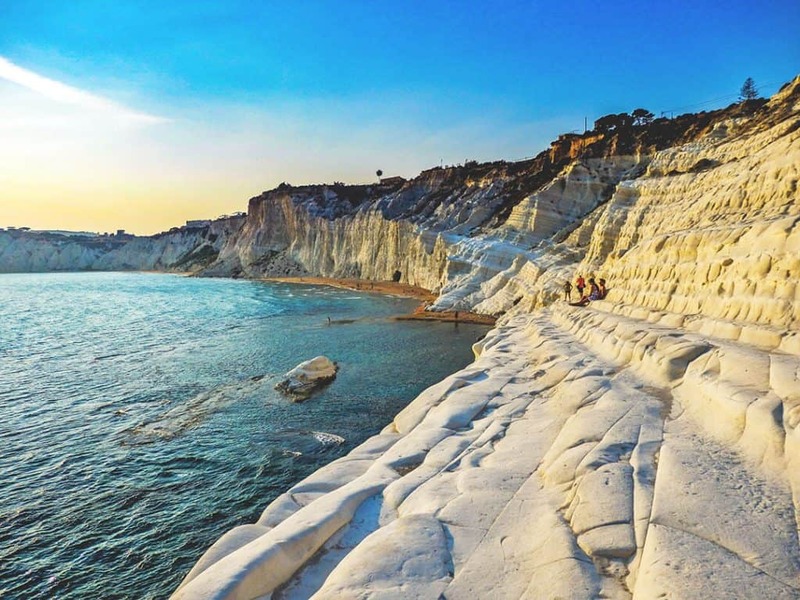 Mother Nature gave her best at Scala dei Turchi, in the South of Sicily. Located not too far away from Capo Bianco (described above), this beach is made with the same white rock. Only in this case it is shaped like a huge stairway that leads to the Mediterranean sea. It’s one of those places that look like they’ve been handmade by an artist: the wind blowing from the sea, in this particular case. Proposed to UNESCO for future inscription as World Heritage site, this peculiar beach is indeed a unique part of Sicily. The white “staircase” is located between two sandy beaches, one of those was recently freed from what we call an eco-monster – a hotel that was built on the white rocks and that has been demolished to preserve this beautiful landscape. Lodging in Porto Empedocle will allow you to visit both Scala dei Turchi and Capo Bianco. This is the beach that in Italy we know as “la spiaggia del Postino“, because here they filmed many scenes of a movie we hold dear. It’s The Postman, which tells the fictional story of the Chilean poet Pablo Neruda and featured the late Massimo Troisi. One of the most famous actors from Naples, world famous and very much loved in Italy. 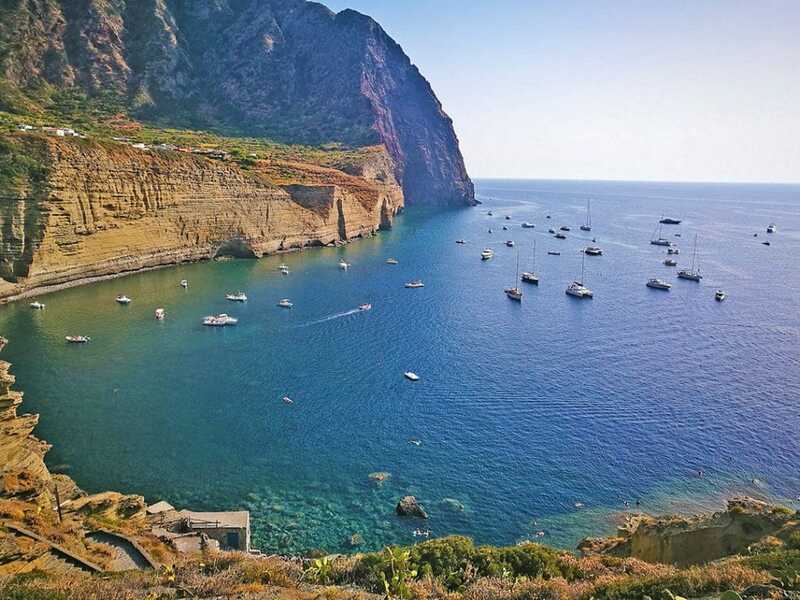 Located on Salina, in the Aeolian Islands, it’s becoming smaller and smaller because of the erosion. In the future it might be gone forever, which is why we hold it so dear. The sea here is amazing, and you can dive into a prehistoric submerged crater that shaped the sea bed. You can get to the beach with a half an hour hike on a rocky path from Pollara, which is also your best bet at finding a place to stay, since Salina is a quite wild island that doesn’t have a lot of hotels. Lampedusa is the largest island of the Pelagie archipelago. Here you can find one of the very best beaches in Sicily, a real jewel that has been named “the most beautiful beach on Earth“. The beach is located on a tiny island, at a few meters from Lampedusa, and it’s completely rocky. The water here goes from different shades of green to a beautiful cobalt blue. Its name comes from the wrong translation of an English nautical chart in 1800. Rabbit in fact might have come from the Arab “connection“, because this island was strategically placed. This island is part of the Lampedusa Nature Reserve: here the loggerhead sea turtle lay their eggs and if you’re lucky you’ll also be able to spot them. Calamosche isn’t too far away from San Lorenzo beach (see above), and it’s located between the Vendicari Nature Reserve and Noto. In 2005 was named as the most beautiful beach in Italy thanks to its crystal clear waters. While it isn’t well known between travelers from abroad, in Italy it’s very famous because it’s an unforgettable sight. We’re talking of a tiny beach of just about 200m, enclosed between two promontories. The area is full of caves on the coast that you can explore, and it’s particularly quiet. The reason is pretty simple: you can reach Calamosche only by hiking for about 20 minutes on the rocks. It’s natural selection baby… only the toughest make it here! Lodging in Marzaremi will allow you to visit both Calamosche and the San Lorenzo Beach. 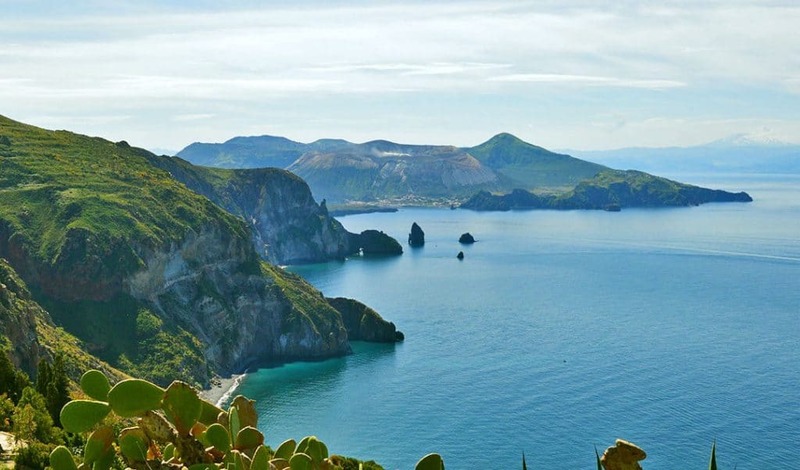 Lipari is the largest of the Aeolian Islands, that you can reach also with a guided day tour from Milazzo. On this island there’s a spectacular white beach, very famous here in Italy… and very, very crowded in July and August. It is located in the area where there are the pumice stone quarries and dominated by a majestic white mountain of pumice stone. It is a rare treasure: only Turkey has the same kind of quarries. The natural landscape is particularly wild. White sand contrasts with turquouse water: the only human addition to this landscape is a long iron pier that is the perfect place to take amazing pictures and relax away from the crowd on the beach. You can get to Acquacalda beach with a bus from Canneto or renting a boat that will bring you there and pick you up in the afternoon. Here you can find the best deals to book your stay in Canneto! 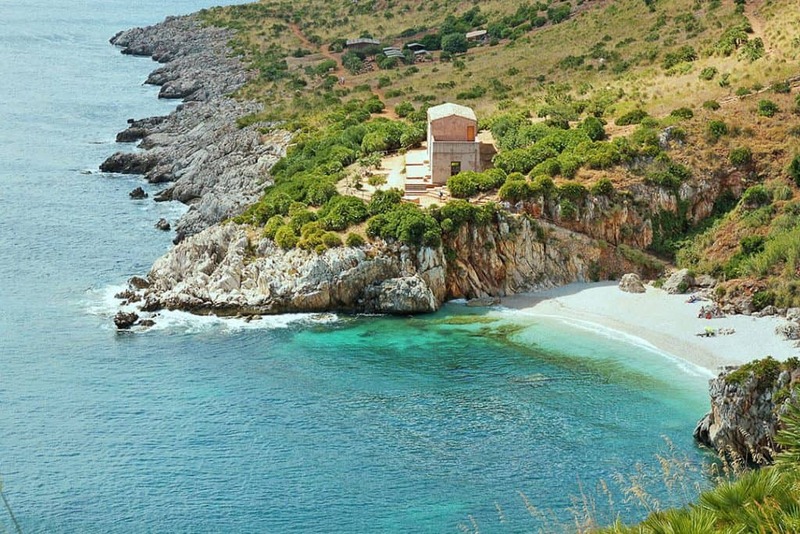 Cala dell’Uzzo, one of the best beaches in Sicily according to Skyscanner, is located inside the Zingaro Nature Reserve. Famous for its turquoise water, white cobbles and luscious green at its back, this little oasis is only one of 8 beautiful coves in the area of San Vito Lo Capo. Cala dell’Uzzo is particularly tiny and indicated for families with children because the sea bed is shallow and soft. If you’re bringing your drone (please, always make sure you can fly it, as in Italy our laws don’t always allow it), you can shoot from above. The white sea bed in fact makes for some amazing pictures and videos. Reaching Cala dell’Uzzo is particularly easy. If you get there from the North entrance (San Vito Lo Capo), park your car and just follow the path down to the cove. Visiting the whole natural reserve will cost you 5€. 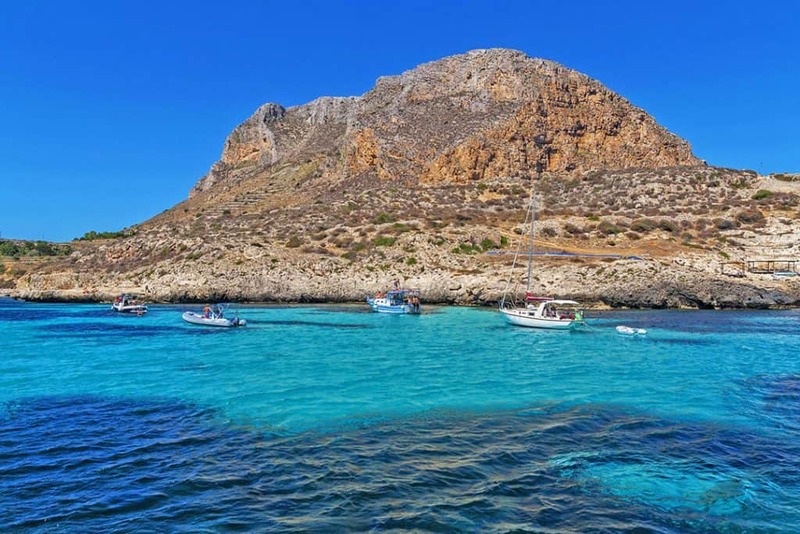 You can lodge to San Vito Lo Capo to explore the Zingaro Natural reserve and its beautiful coves! Oh wow. 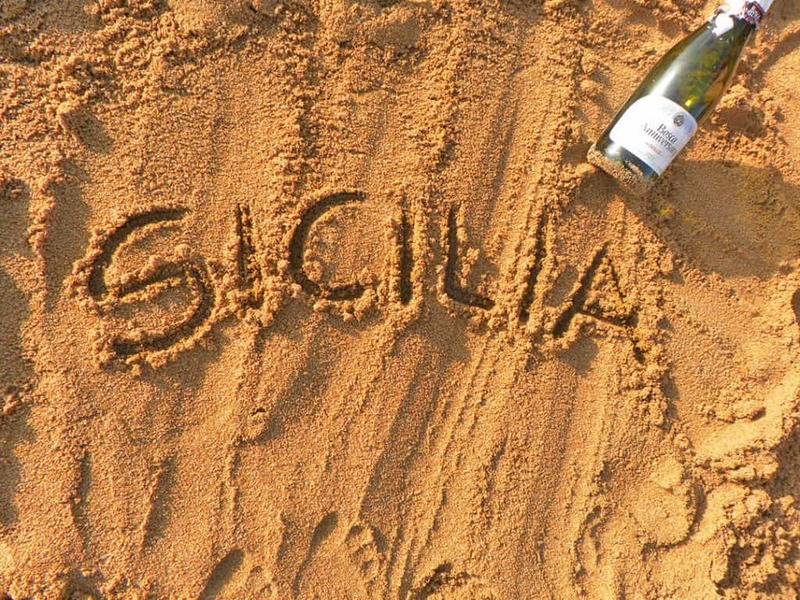 A Sicilian beach vacation sounds exactly like what I need after this snowy winter! I can just feel the warmth in all your pics! Haha don’t tell me! Is it very cold where you are? I’ve never been to Sicily. That needs to change. All of these beaches are just stunning but I feel drawn to Bue Marino Cove ? Yes! Especially if you love good food, colors and folklore! As I’m reading and looking at the photos, I’m thinking how diverse these beaches are. Every beach seems to have it’s own character, each unique in it’s own way. I particularly never registered Sicily has an ancient Greek city. I’m bookmarking this for the day we do actually get around to visiting Sicily. Many times, we’ve actually though about living there a while. I think every part of Sicily has its own unique feel. It’s a region that should be explored on a longer road trip, because even the local recipes can be different from one family to the other! And how cool that you thought about living there! Did you already have a specific area in mind? These are really fabulous beaches of Sicily. Each one seems to be more gorgeous than the other. Iove the look of the Isola bella, Taormina beach. It looks so stunning. Thanks for giving a fresh perspective of this region of Italy. Oh in Sicily they are gelato masters 😀 Just think that they sell it also in a brioche, so imagine this warm pastry on the outside, soft and delicious, with cold gelato inside. To die for! 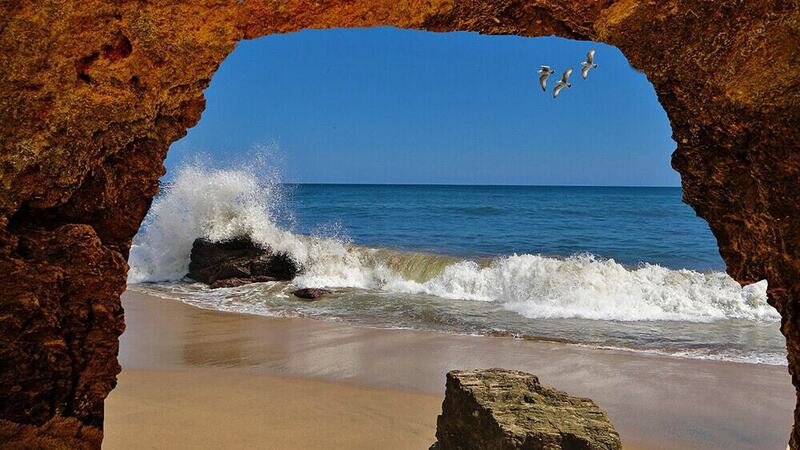 Thanks for sharing these stunning list of best beaches. Perfect to pick where to go since summer is approaching. I really love all of the photos, looks so wonderful love that turquoise waters. Oooh are you planning a trip to Sicily? The food in Sicily is also some of the best in Italy. They are still using ancient recipes, with local produce and fresh fish: to die for! I hope you will make it there one day! Stunning photos! I’ve had the pleasure of seeing a good bit of Italy, but the islands have as of yet eluded me! 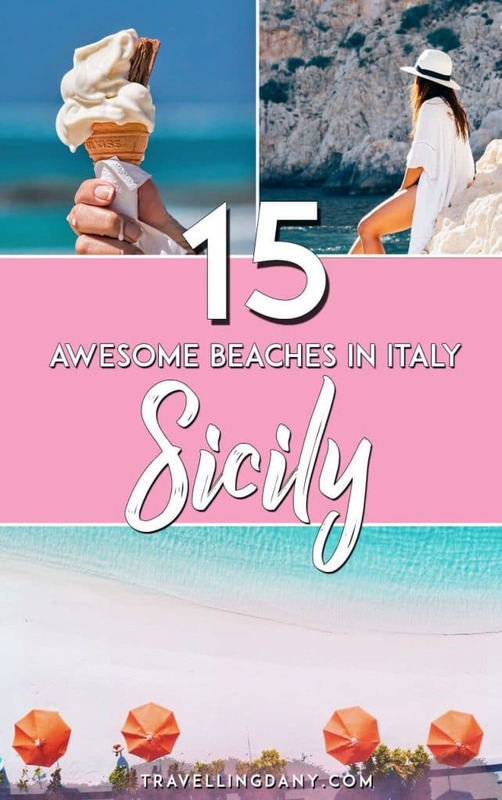 A good friend recently came back from holiday in Sicilia and raved about the history, so combining that with these gorgeous beaches has definitely piqued my interest! Sicily is very famous among Italians! As your friend mentioned, it’s full of history, traditional recipes, fresh produce, delicious seafood and art, beaches, sun and smiling people. We definitely love vacationing in Sicily so I hope you can make it there as well: you’ll see by yourself that it’s one of the best parts of Italy! Gorgeous pictures. I’m sure the research for this post must have been terribly taxing. Thanks for recommending some that are less- known. I can’t wait for summer to come after reading your post! I’ve seen a lot of pictures of Cefalu on Instagram and I really want to visit it. However, what strikes me the most here is Porto Empedocle and this amazing staircase! I think what stands out about most of these beaches (at least in my eyes) is firstly, the crystal clear waters which make me want to plunge into and swim, especially when the sun is burning down like it is right now (I’m in Dubai!) and secondly, the backdrop of those cliffs jutting into the sea, set the perfect tone for a great picture. 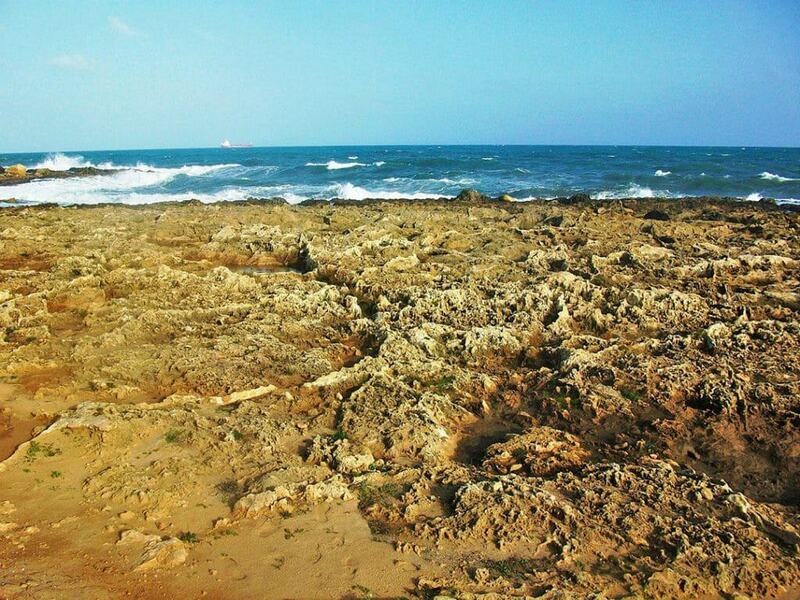 I love all your pictures but if I was to choose one, only one, I’d go for San Lorenzo Beach, Marzamemi. So bookmarking this! I may be heading to Sicily this summer…hopefully. Last summer, I opted for Sardinia instead and regretted it! I will keep my fingers crossed for you! Why did you regret your decision? You didn’t like Sardinia? Some beautiful photos there! Such a shame that I have been to Italy twice but haven’t been to Sicily even once, at least I know where to go next time. It’s more common than you know, as I mentioned in the article so many tourists from abroad don’t know about Sicily! When I think of Sicily, the last thing that pops into my mind are stunning beaches. Clearly, my mind is off! 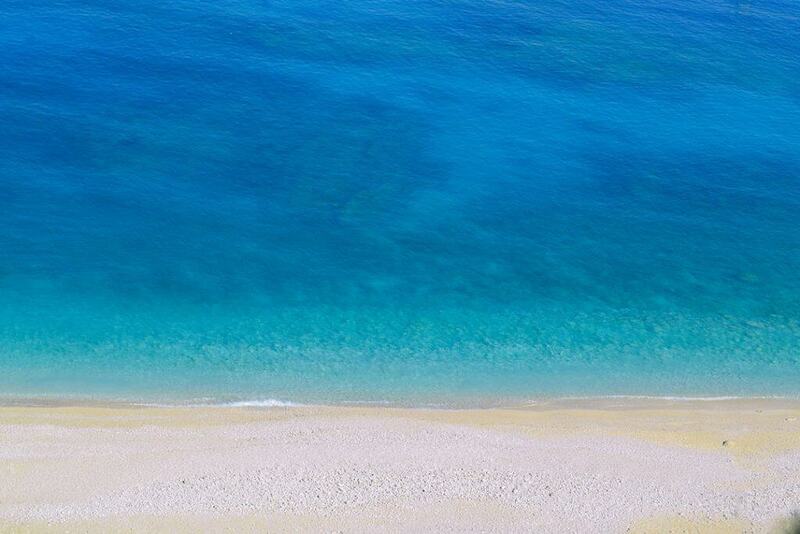 These beaches and water are out of this world gorgeous! My European dream vacation just keeps getting longer and more expensive. Here in Italy it’s very famous because of its beautiful beaches! And the food too, yum! 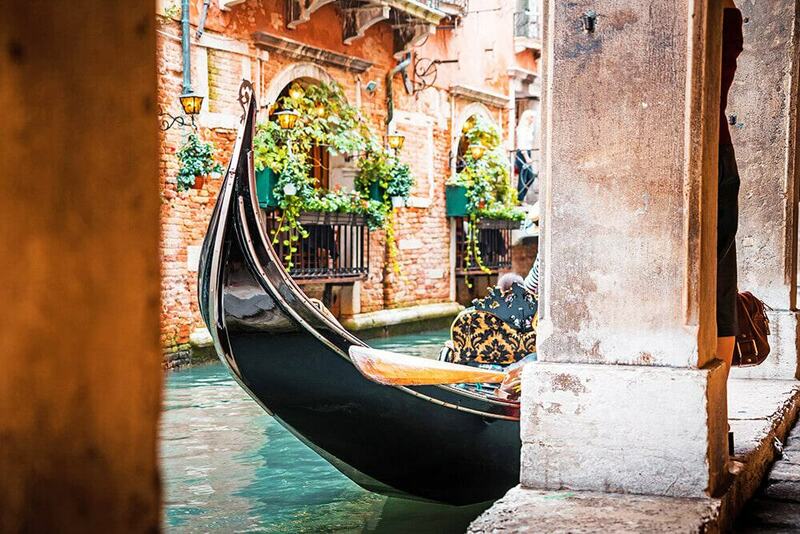 I think you’d also be surprised to know that it’s way less expensive than other famous places in Italy! Wow, Sicily has some beautiful beaches. I think my favorite were the hidden pools of Cala Junco, Panarea. They seem like a surprise wrapped inside of a present. 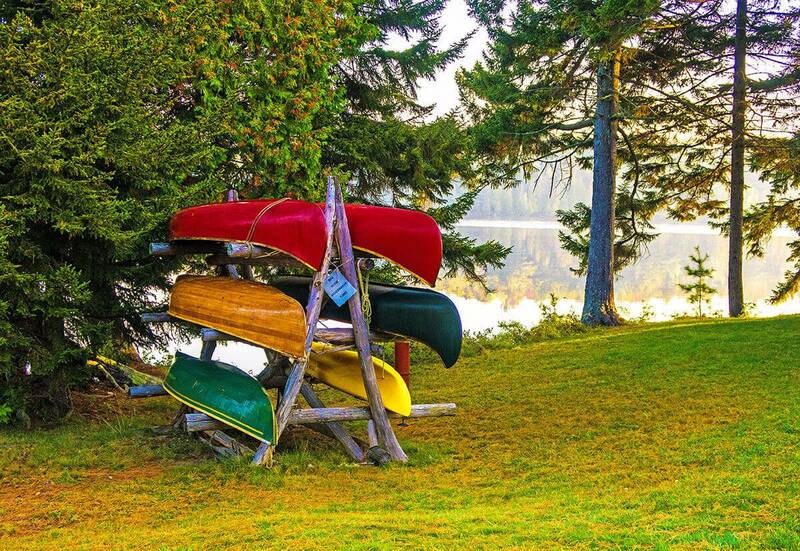 It’s even more beautiful if you go there using a boat! We had an exchange student from Sicily and ever since then we’ve been dying to visit. From a photographer’s point of view I love the white rocks of Scala dei Turchi, but swimming wise San Lorenzo Beach is my favourite. The food in Sicily is also SO good and cheap. They have such a long culinary tradition, some of the best in Italy! I’ve been to Sicily – but the only beach I visited was San Lorenzo Beach, Marzamemi – which is every bit as lovely as your photos suggest and also fascinating for it’s links with tuna fishing. Well you still took one of the most beautiful! Are you thinking of coming back for more? Great roundup. I’ll take tanning and the beach any day. Wow! They all look so amazing. I have saved this post to Pinterest to refer to later. I love rocky cove beaches that are a little harder to get to! Same here because they’re never crowded! Wow, each of these beaches looks one better than the other. The aerial images are so beautiful. However, my favorite would be Scopello Beach with its rocky formations providing a perfect backdrop for images. The water is so clear – very impressive. Yes it’s very famous here because of the rock formations! I want to go to all these beaches RIGHT NOW! You’ve absolutely confirmed Sicily as a place I have to prioritise going to as it’s been on my radar for a long old time. Grazie mille! I hope you make it there, it’s SO beautiful and the food is to die for! I’m sitting here in a winter season looking at these beautiful spots.. I WANT TO GO RIGHT NOW!! Haha you should for real! Stunning pictures, I love Sicily! I really wish I get to visit soon again and go to some of those beaches you recommend! Ouch! Definitely a must do then, these are some of the most beautiful beaches in Italy!